These are the insulators used on power towers, in exact 1:48 scale. Heres a view of one and twelve of them stacked up. O scalers will not have to use beads any longer, but can have better-looking scale insulators. 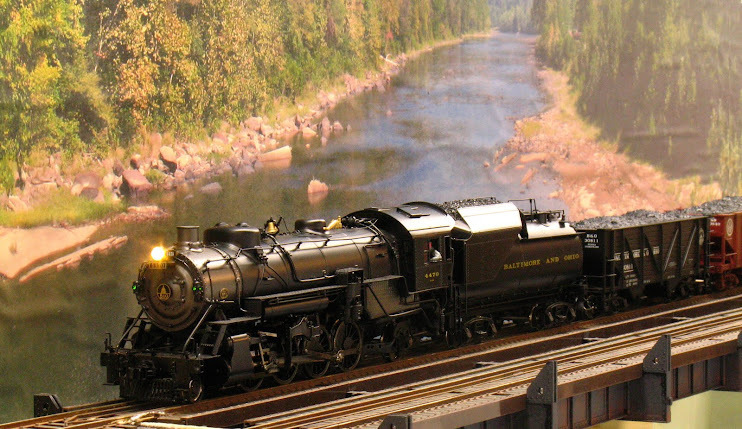 Here's something for PRR (and PC, Conrail and Amtrak) modelers in O scale. I am planning a series on PRR 'K' braced catenary poles. The single and double track, low poles (without overhead high voltage power lines) will be first. Here are pictures of the two track. 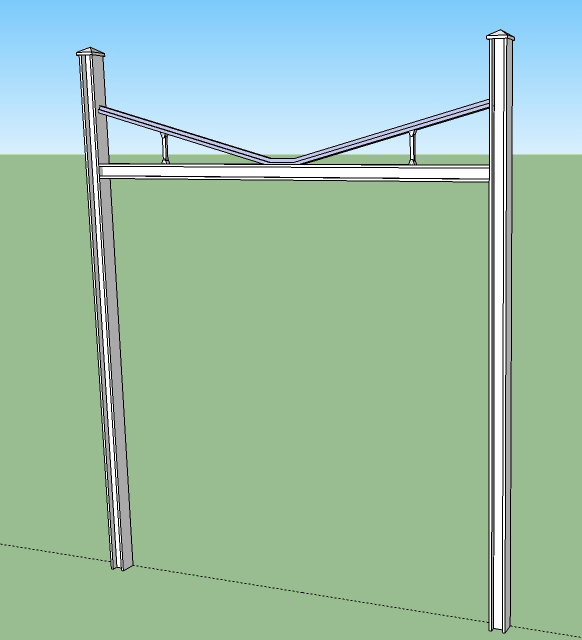 These poles will be printed as one-piece, saving hours of cutting and soldering or gluing. This pole, which is off at the 3D printers now, is a prototype. The final pole will have thinner cross sections and will have complete rivet detail in the 'K' braces. Eventually these will be available in nylon (flexible), Alumide and ABS. 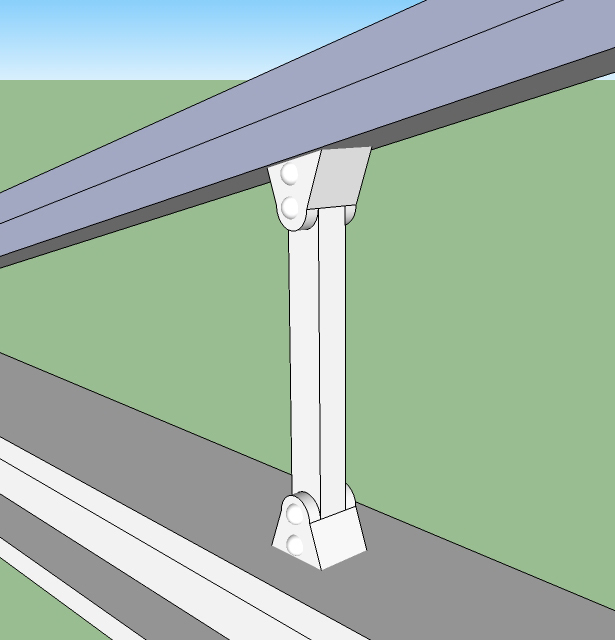 These are intended to be cosmetic, scenic details and not host operating catenary. But the ABS version may be strong and rigid enough to withstand the forces associated with active wire. The following products are not yet ready for the 3D printer, but should be ready soon. The unique style of high voltage insulators used by the PRR. 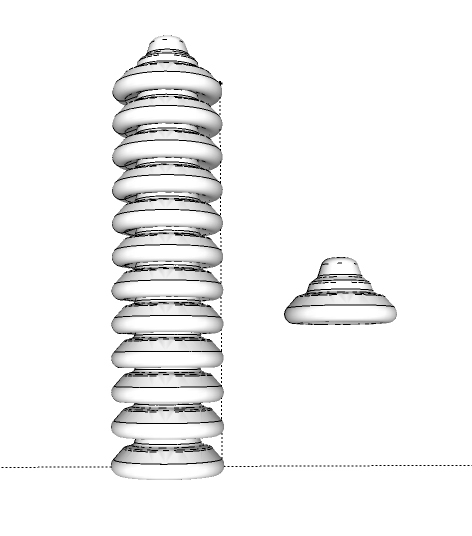 The two-view below shows the ridges on the bottom as found on high voltage insulators. These will be present, if these are not too small to print. Rain caps for PRR catenary (for 1/4 inch columns) for those who are building their own catenary out of brass column. These should be a real time-saver for catenary builders. I'm really having the devil's own time getting the visors (hoods) right; that's delaying this going off to the printer. These dwarfs came in two 'handedness'. I'll eventually do the other one too. I'm also having problems with the reliability of my 3D printing service (Shapeways); and that's not helping these test prints along. Is there any chance you might offer the rain caps in HO scale for use on 1/8" H columns?